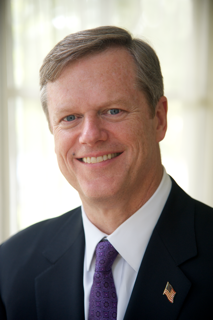 In this podcast interview, Charlie Baker, Republican candidate for Governor of Massachusetts discusses his views on healthcare with healthcare business consultant David E. Williams, president of the Health Business Group. This is the first in a series of nine in-depth interviews with the candidates. For a complete schedule and an explanation of the questions visit the intro post. 224 must address the “…roughly 5% of the population who account for 50% of healthcare expenditures.” These are people managing multiple chronic illnesses, who end up “pinballing all over the healthcare system”. Baker believes the state already has the power to “make the system more transparent.” He thinks the state should be “a lot more aggressive” about making information publicly available. Baker says that this leads to conflicting regulatory directions coming from multiple agencies. Baker says the most important role the government can play in this area is requiring provider organizations to use interoperable technology for electronic medical records. Baker says: “it depends on facts that I don’t believe are currently available to us.” Once more information is collected the state can develop conclusions about best practices using models that have been proven to work in other areas. Baker says he believes the state “has capacity to create more transparency,” but indicates that he needs to spend more time to get a better understanding on what the state has the ability to accomplish, and whether a ballot question is the best route to address transparency in hospital financial reporting. Question 7: How did your experience as CEO of Harvard Pilgrim Health Care prepare you to be Governor? Baker says his eight years working in state government and his ten years as CEO of Harvard Pilgrim Health Care give him unique qualifications. The second thing is to create “a real culture of service.” This, he says, is why “Harvard Pilgrim went from receivership to number one in the country for member satisfaction when I was there.” Baker says: “I would like to bring that same maniacal approach to dramatically enhancing and improving the state’s ability to think about service and to deliver service on behalf of the people of the Commonwealth”.